Feedback is not created equal. Wise preachers learn to tell the difference. I suspect more than a few ministries are launched and sustained on the empty energy of post-sermon politeness. On the other hand, genuine and helpful feedback can strengthen your ministry for years. Typically my approach is to say thank you for any feedback, then prayerfully evaluate what I am supposed to make of it. Usually I find that meaningful feedback and compliments will come with a combination of factors – (A) Time – a week or a year later usually means more than five minutes later, (B) Thought – when people are really thinking about what was said, it will typically show, (C) Transformation – the best encouragements are not mere words, but supported by reality. If all three are missing, then we may be dealing with empty feedback that has the nourishment value of a boiled sweet. Here are ten reasons why I think it wise not to get too excited by feedback right after you preach. 2. The “memory” reality. Perhaps positive feedback is skewed by a very limited memory. What they just heard is the only sermon in their short-term memory, and so it stands out. 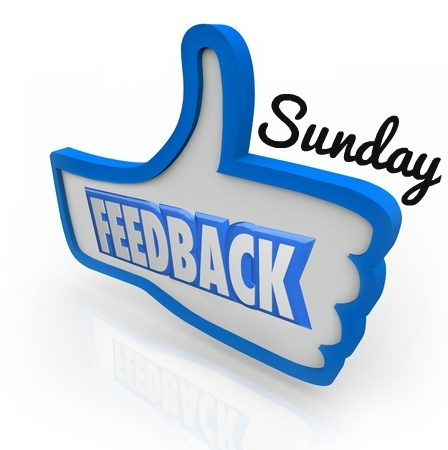 Don’t test a “best I’ve heard in months” comment with a “can you tell me the main idea and take home gems from last week’s message?” Chances are, your message may be equally misty come next Sunday! 3. The “polite override” mechanism. Some people in churches have a politeness override mechanism that makes them say things to be polite that they don’t really mean. It happens at dinner tables when a dish has been obliterated, but to be polite, they will maintain it is “really good!” Call it dishonest, or call it polite, but remember it may happen after you preach. We’ll continue the list next time! I am enjoying the list. I believe your points can be applied equally well to negative feedback and criticisms.